From Winemaker - Thomas Rivers Brown (who makes the famous wines of Schrader among others) He has made many 100 point wines! 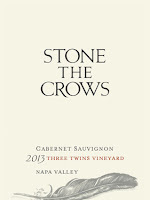 Three Twins VineyardsThe 2013 Cabernet Sauvignon Three Twins Vineyard has come together beautifully since I last tasted it. Rich, ample and layered, the 2013 is both unctuous and powerful. Iron, red cherry, pomegranate and tobacco are nicely delineated throughout. 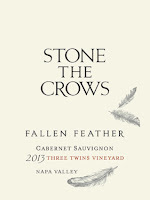 This effortless, gracious Cabernet is a hugely appealing wine to drink now and over the next decade or so. The refined, polished finish is pretty hard to resist, even at this early stage. 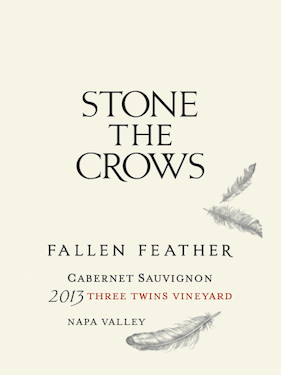 A concentrated, firmly structured, tannic wine, the 2013 Cabernet Sauvignon Fallen Feather has a dense purple color, excellent, rich, pure fruit, but still tightly knit and coiled. This wine needs 3-4 years cellaring and should drink well for up to 20 or more years. 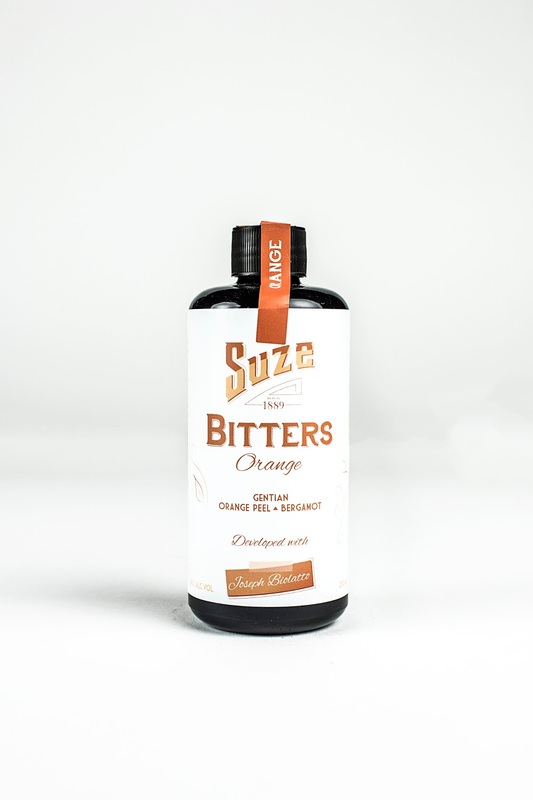 Suze was born in 1885, the drink was perfected in 1889 and it officially became the aperitif that the world knows today. 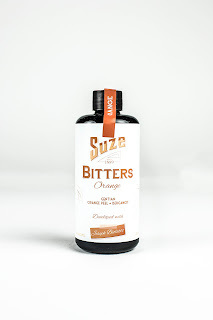 Born during the Universal Exhibition in Paris in 1889, both Suze and the Eiffel Tower are linked as French icons, with Gustave Eiffel contributing to the design of the Suze distillery that was constructed in 1922. 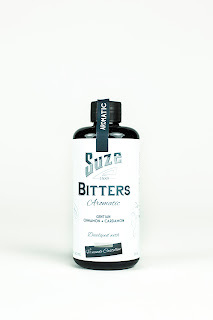 Suze Bitters is a new range of concentrated aromatic bitters, developed by Suze with 3 of the most influential French bartenders. Fernando Castellon, Joseph Biolatto, and Julien Escot. This unique collaboration gave rise to a premium three-bitter range that will meet the expectations of the most demanding barmen. The days they are a changin’… Post work adventures are a thing again (and let’s face it… our pups are AMPED). We find ourselves chasing that last bit of sunlight and indulging in those final evening rays. Sound familiar? Well, then this cider is built for you. 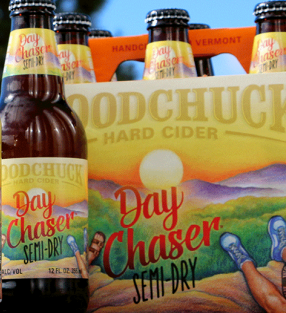 It’s time to chase those days with Woodchuck® Day Chaser! For our newest year round cider, we really embodied the lifestyle of our home state (#LOVERMONT). Celebrating those adventure seekers that never let a minute slip by, Day Chaser brings a drier cider option to the Woodchuck line. Crafted with both bitter and sweet apples, this sessionable style yields a semi-dry taste that is not too sweet and leaves you thirsty for another. The malfy bottle is decorated using traditional italian glass design technique and the stopper is made in italy from real oak. The malfy crest is an interpretation of a famous rowing race held between the four ancient kingdoms of italy each year. Our malfy blue represents the mediterranean and the yellow represents the italian lemons grown on the coast which gives malfy the aroma of the zest from a lemon just picked from a tree. Gin began in italy: gin was invented in italy in the 11th century by monks on the salerno coast. They added ginepro (juniper) and other botanicals to the alcohol - and gin was born. G.Q.D.I. Stands for 'gin di qualità distillato in italia'. It is a stamp and guarantee of quality and origin. Malfy is distilled in our stainless steel vacuum still so the fresh aromas of Italian juniper and citrus are retained. Con limone - travelers have always been thrilled by the sight of citrus in italy, where dark leaves and bright fruit seem to change the landscape, making the trees symbols of a sun-soaked, poetic vision of the country. Citrus holds a special place in the italian imagination and has enduring resonance in italian culture. Malfy uses a selection of coastal grown Italian lemons - some from amalfi and some from sicily to give the gin a fresh and zesty aroma. 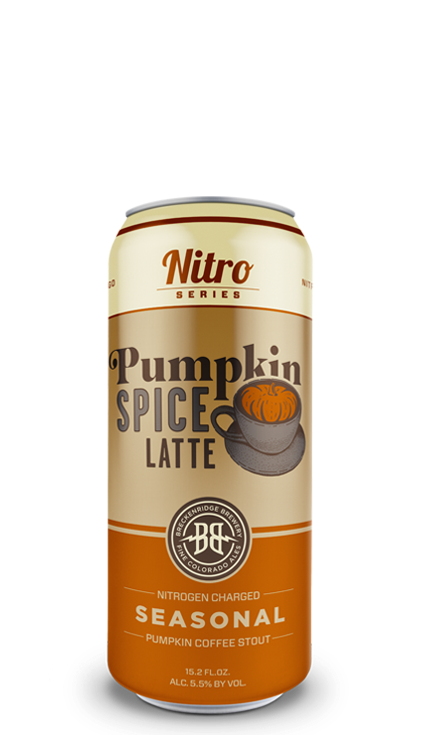 Nitro Pumpkin Spice Latte is a stout made with dark roasted malts and carefully roasted, cold pressed coffee beans. Vanilla, cinnamon, nutmeg, and cloves delicately complement the taste of rich pumpkin. 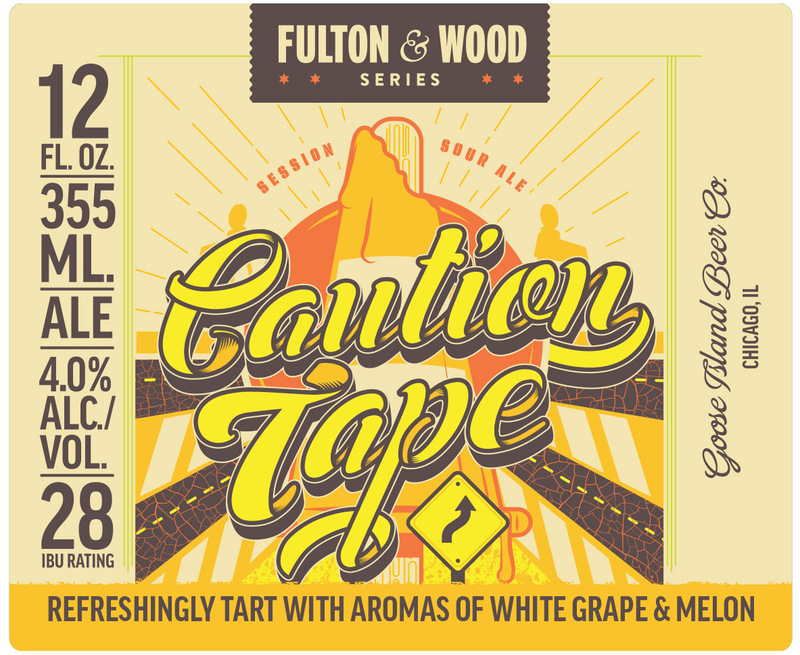 These well-balanced fall flavors presented with the velvety texture of nitrogen create a truly distinctive and delicious beer. Stone Breaker Irish and American Blended Whiskey from Missouri! Inspired by the legacy of strength and determination of our Irish immigrant ancestors, Stone Breaker Whiskey honors our craftsman forefathers. This premium spirit is a blend of four-year finished imported Irish whiskey and our very own malt whiskey twice distilled in traditional pot stills. Next time your spirit feels restless, we have the perfect solution. We’ll be ready with a firm handshake, a tall tale and a liberally poured glass of the finest whiskey between here and the Isles from which we came all those years ago. Because the luck of the Irish is best when it’s self-made. In keeping with the history of the brand, and to assure only the finest quality Bourbon is labeled Belle Meade Bourbon, we painstakingly selected barrels sourced from one of the nation's most notable distilleries. To ensure that no other Bourbon in the world tastes quite like Belle Meade Bourbon, we created a proprietary blend of four barrels per batch using two different mash bills and yeast strains. Each barrel is aged between 6-8 years and is hand-selected to complement the other barrels in the batch to create the signature flavor profile that makes Belle Meade Bourbon the award-winning Bourbon of choice for the discerning whiskey drinker. Belle Meade Single Barrel Bourbon is selected through a tasting process in which a team of our staff members scrutinizes samples from a group of barrels age 9 or more years in search of barrels with a superior flavor profile worthy of being bottled as a Single Barrel. To pass muster the barrel must show the characteristics that are the hallmarks of a superior well-aged Bourbon; balance, depth, and complexity. The few barrels that make the grade are then set aside to be bottled at true cask strength. We do not cut our Single Barrel Bourbon to proof and it’s never chill filtered. It is bottled just as it was sampled in the approval process and that means the proof of every bottling is different. 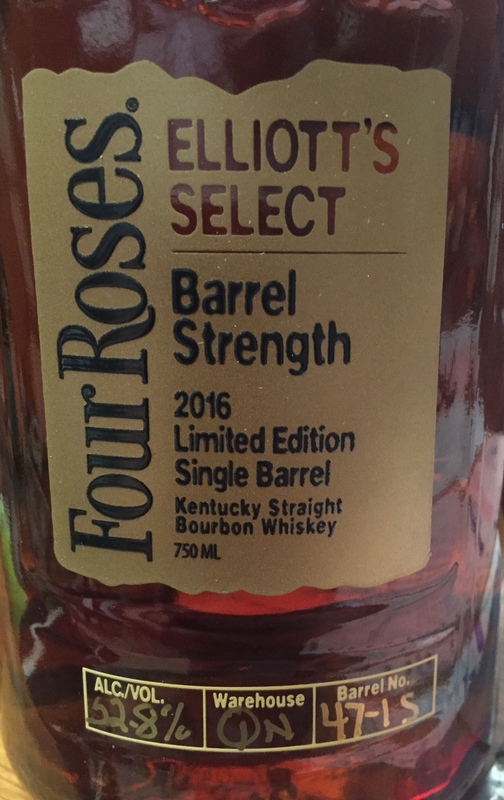 That’s why every single bottle has the barrel number, proof, and the barrel’s original fill date written on the front label. This high proof and ample maturation means that Belle Meade Single Barrel Bourbon always has a bold flavor that is best appreciated neat, with a splash of water, on the rocks, or in a well made cocktail. However you choose to enjoy Belle Meade Single Barrel Bourbon rest assured that you are drinking as true a representation of pure Bourbon as one can possible get without drinking it straight off the cask. 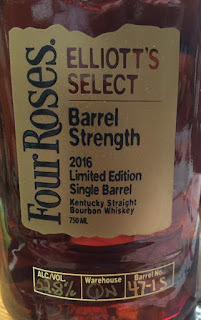 A proprietary blend of barrels ranging from 6-9 years old. The blend is then rested to finish in XO Cognac that were used for 12 years. Our Cognac Cask Finished Belle Meade Bourbon™ is the result of painstaking attention to detail to create a product of unmistakable quality and character. We started by seeking the perfect casks for the project because like any other ingredient, the finishing cask must be exceptional in order to achieve exceptional results. The search ended when we found a selection of casks made of French Limousin Oak that had been used for 12 years to age one of the world's premiere Fine Champagne XO Cognacs. One smell of these casks told us that they held truly magnificent potential as finishing barrels for our Bourbon. We next selected the Bourbon best to fill these extraordinary casks. We decided on a blend of Bourbon ranging in age from 6-9 years to coax the best results from the casks. The younger barrels pair with the spice and fruit characteristics of the cask while the rich depth and complexity of the older barrels in the blend play perfectly with the soft, luxurious flavors of the well-aged Cognac that once inhabited this French oak. Cut to 90.4 proof and non-chill filtered, Cognac Cask Finished Belle Meade Bourbon is the perfect way to wind down the day when sipped neat, with a splash of water, or on the rocks. A proprietary blend of 9 year old barrels. The blend is then rested in used Oloroso Sherry casks to finish. Our 9 Year-old Belle Meade Bourbon finished in Oloroso Sherry Casks, our first wood finish series release, represents the best of both old and new world whiskey making techniques as it's America's native spirit, Bourbon, that we have blended and finished like a fine Scotch. We sampled and selected barrels from our Reserve stock and blended only the best in extremely small batches to create a Bourbon of exceptional character. We then aged this extraordinary blend of 9 year Bourbon in Oloroso Sherry casks, which had been used for 20 years in Sherry production, until perfection was achieved. Winner of the Double Gold Medal and Best Special Barrel Finish Bourbon at the 2015 San Francisco World Spirits Competition, this special barrel finish bourbon is available in select markets and at the distillery in Nashville. It will go through our Whiskey Reward Club. Apricots are thought to be native of the Persian territory, where they were commonly referred to as a Zard-Alu. These precious stone fruits were so highly revered that they were often used as a commodity in the markets. The stones were not to be wasted, much like this brew. Apricots shine bright, while peach and pear-like flavors mingle in the background, as Brettanomyces and Lactobacillus create the tie that binds all the components. 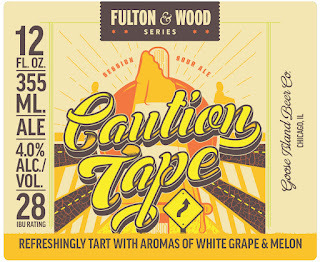 The end result is a complex ale that is playfully sour, light, and refreshing. 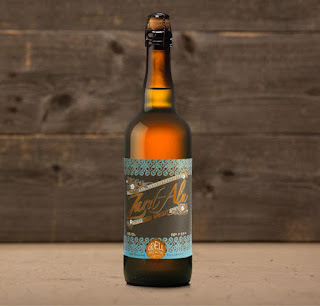 This sour treat is a blended (cuvée) of peach lambic and geuze aged in wood barrels for 5 months. With a base of pilsner malt and local raw wheat, we added over 1000 lbs of peaches from Herman’s Farm Orchard in St. Charles and aged hops during a secondary fermentation. 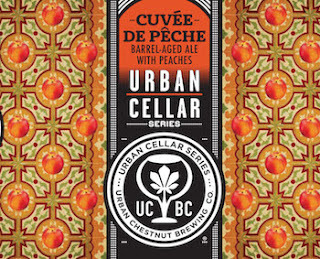 Complex, carbonated, and tart with lingering notes of oak, Cuvée de Pêche is a perfectly light, perfectly sophisticated summer ale – look out for it on shelves now! Each year we increase the number of pumpkins grown on Rogue Farms in Independence, Oregon. We pick our pumpkins fresh from the patch, load them on our truck and drive them 77 miles to our Newport, Oregon brewery, roast and then pitch them into the brew kettle. From patch to batch, Rogue grows pumpkin patch beer. Out of love of fermentation, Public House Brewing Company and St. James Winery, two award-winning, next-door neighbors, have teamed up to bring you Courtship Cranberry Ale - a first in their Neighbor Series. Typically, neighbors share a cup of sugar. In this case, St. James Winery shared the cranberry juice they use to make their Cranberry wine with Public House to create this new collaboration beer. A crisp, clean cream ale blended with 100% cranberry juice, this seasonal incorporates the sweet and tart flavors of Cranberry wine - the winery's most popular seasonal. Courtship Cranberry Ale is the new taste of fall! 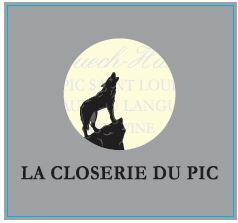 "..the 2014 Languedoc Pic Saint Loup Closerie du Pic is a blend of mostly Syrah and Mourvèdre, with a splash of Grenache. 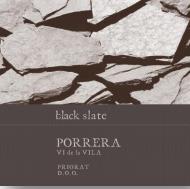 It got a big “wow” in my notes and has fabulous, fresh, lively notes of dark fruits, crushed rocks and spring flowers. There’s notable oak on the nose, but it’s beautifully integrated and lends a polish and richness to its texture. Full-bodied, with ripe tannin and a great finish, this is a sensational Pic Saint Loup that will drink well right out of the gate, yet evolve for 7-8 years or more." Malt whiskies matured 12 years or longer are perfectly matched with mellow grain whiskies of the same age to create this HIBIKI offering. Also included is some whisky from casks formerly used in long-term aging of Japanese plum liqueur, which helps bring out the sweet floral notes on the nose and palate that Suntory whisky is known for. Adding venerable malt aged more than 30 years further brings out the bouquet and adds body to the palate. At a turning point marking the 20th anniversary of HIBIKI, this new offering brings together all of Suntory's whisky making expertise and blending craftsmanship for whisky enthusiasts around the world. Brilliant amber in color. A fruity bouquet, followed by sweet honey and custard cream. 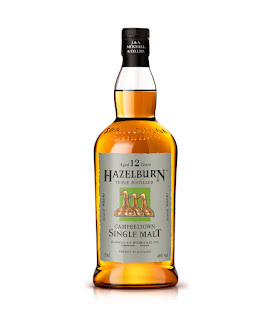 On the palate, a soft and mellow sweetness makes this a whisky one can also enjoy straight. A long finish, with subtle tartness and a spicy bouquet. Back in stock! While it lasts! Each year our Master Distiller, John Campbell, handcrafts a limited edition malt to celebrate friendship (“Cairdeas“ in Gaelic). This 2016 bottling features fully-matured Laphroaig aged in ex-bourbon barrels before being artfully married together for a second maturation in Madeira seasoned traditional hogsheads. As you begin to enjoy this expression, you’ll find an aroma of ripe orange fruits and sweet liquorice moving into spices and dry mixed peppers before concluding with a lovely dry, nutty finish. On the palate peaty, earthy flavours emerge, followed by a hint of dry saltiness. Creamy orange tones follow as this Cairdeas finishes with a bold and lingering spicy dryness. The result is a unique expression to be savoured by Friends of Laphroaig, old and new. Laphroaig Cairdeas – friendship distilled. We are thrilled to offer the latest vintage of one of our store favorites at an amazing price. The 2014 has not been scored but the previous vintage was rated 95/100 by Robert Parker. Right now we have plenty in stock! The inspiration is a Burgundian concept of village nomeclature....PORRERA, the eastmost village of the region, enjoys the cooler temperatures due to its high altitude and canyon like topography, lending a unique balance of weight and freshness in the wine. Great prices on The English Whisky Co.
"We were fortunate that Iain Henderson a distiller of some note from Laphroaig, although ready to retire, was talked into coming along to help get us going. In December 2006 we were able to make the first 29 barrels of English whisky and by August 2007 we opened to the public with a visitor centre, fantastic whisky shop and tours. Iain has now retired again, but before he did, he spent 4 months training David Fitt, a brewer from Greene King to take over. David is now distillery manager and is also responsible for making a superb whisky spirit." - The English Whisky Co. Nose: Fruity and fragrant and slightly spicy. Chipped bananas, dried apricots, sweet vanilla and light honey. Fresh cut grass with hints of lime and pear. Sbule notes of marzipan with a slight nuttiness (hazelnuts, cashews, almonds). Palate: Spicy and slightly peppery (think white pepper). Again vanilla and bananas come through along with tropical fruits (mango and lime). More citrus notes and the malty, cereal character comes through. Nice fresh, clean palate with a salty dry finish." Nose: Incredibly rich, the influence of the sherry cask is immediately apparent. Sweet, with hints of chocolate - there are also notes of apricot, orange marmalade, almonds and marzipan. Palate: Malty, fruity and elegant. 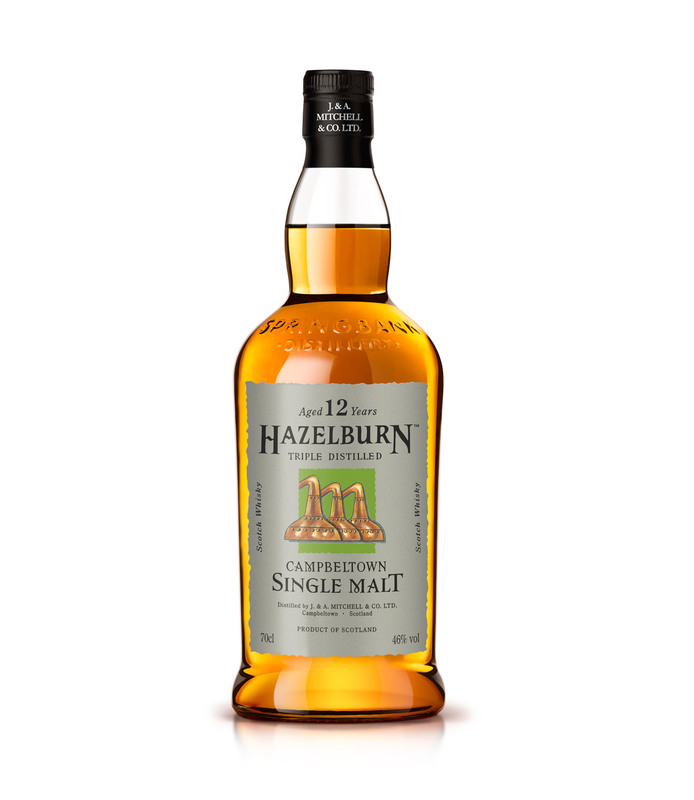 A very well balanced and rounded dram with hints of oak, figs and nuts. Finish: A long, lingering fruity sweetness. People have been excited about the Drink of the month. We are in our third month now. Roughly, each month we will present a new drink that you can make at home with the guidance from a professional. The professional that will be providing the recipes and the instructions will be mixologist, Jeffrey Moll. So, for this month, I would like to cover a drink that a little lesser known in the realm of home cocktails. 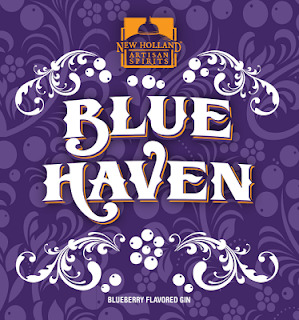 From the last month, we will be revisiting a bottle that was somewhat of an optional bottle, but hopefully you explored both Manhattan variants last month. The bottle is Dolin Dry Vermouth and the drink you're going to be making is called a "Chrysanthemum". Second: these are the bottles that you need for this cocktail. Using your hawthorn strainer and fine strainer (if possessed) strain into a cold coupe glass. Using your vegetable peeler, peel a sizable strip of orange peel. gently grasp the smaller section of the peel between your thumb and index finger and squeeze to express the oils from the peel over the cocktail. place peel in drink.